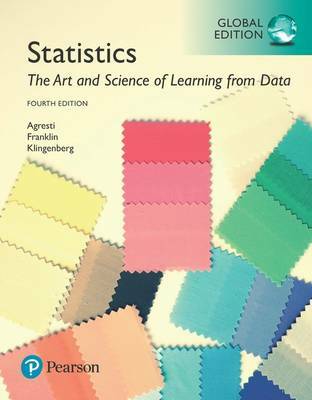 The Art and Science of Learning from DataStatistics: The Art and Science of Learning from Data, Fourth Edition, takes a conceptual approach, helping students understand what statistics is about and learning the right questions to ask when analysing data, rather than just memorising procedures. This book takes the ideas that have turned statistics into a central science in modern life and makes them accessible, without compromising the necessary rigor. Students will enjoy reading this book, and will stay engaged with its wide variety of real-world data in the examples and exercises. The authors believe that it’s important for students to learn and analyse both quantitative and categorical data. As a result, the text pays greater attention to the analysis of proportions than many other introductory statistics texts. Concepts are introduced first with categorical data, and then with quantitative data.